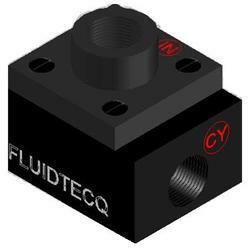 Quick Exhaust Valve offered features precision designed finish operations and allows quick exhaustion of air from air reservoirs as well as from cylinders. Featuring simple, compact designs as well as durable construction standards, these also allow for high cylinder operating speeds as well as providing reliable as well as maintenance free operations. Further, the use of quick exhaust valve also allows for increasing speed of cylinder rods through dumping exhaust air directly at cylinder other than directing it through control valve. Aluminium alloy body and cover, Nitrile seals. Flow control valve offers come precision designed in finishes that provides for enhanced usage reliability as well as working efficiency of these valves. 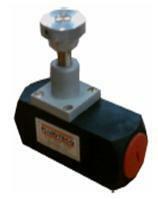 Looking for Pneumatic Accessories ?